J/24 Fleet 43 runs a weekly night race series out of Portland Yacht Club on Casco Bay that typically has over 15 boats and 2 to 3 races per night over a 14 to 15 week series. Inclusive of the Wednesday Night Series and local weekend events this Series is named after local legend George Tonini who raced his J24 Trick or Treat into his 80s. George never missed a chance go to racing and neither should you. This is the signature event for Fleet 43 where we host boat from all over the country to race two days on Casco Bay. Participation has run to 30 to 40 boats each year and more in the years that we hosted the US Nationals and North American Championships. J/24 Fleet 43 runs an annual Doublehanded regatta that has 5 to 15 boats participate in an afternoon of racing J24s with only 2 people on board. This is a fun, challenging and interesting way of racing your boat! 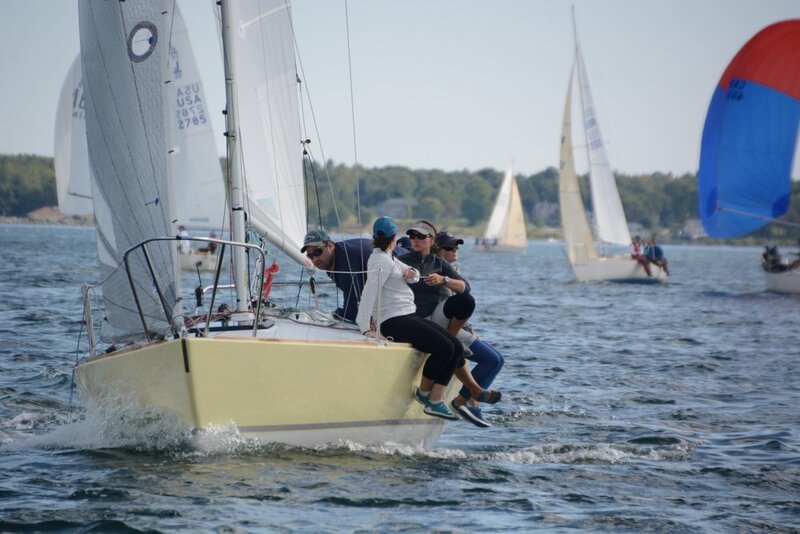 This event originally organized by J24 Fleet 43 was designed to see who is the best J/24 team in the state of Maine. The event traveled to all the other fleets in Maine including, Camden, Boothbay and Mount Desert where there were also strong fleets of J24s. Now the event is typically sailed in Casco Bay where Fleet 43 is now the largest fleet remaining in Maine. One of the J/24 Class’s best regattas in the United States. 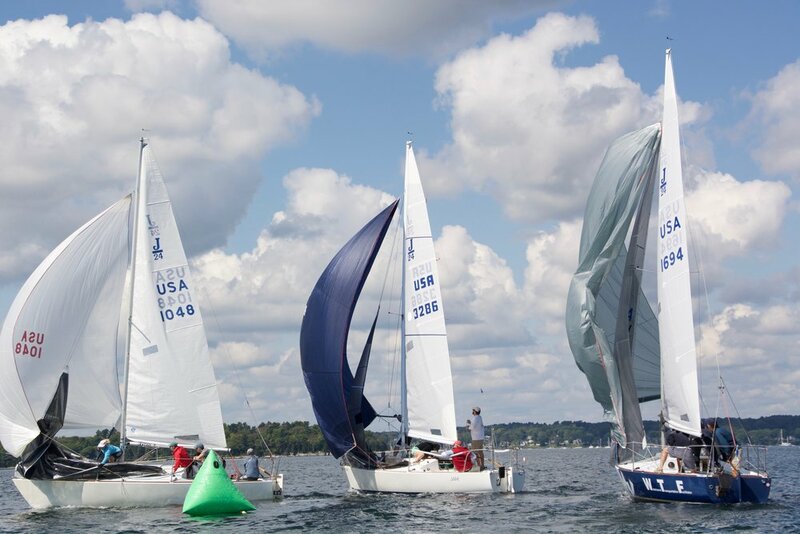 Typically between 25 and 40 boats attend each year from all over the U.S. with great talent and amazing sailing venue that produces consistent breeze with flat water and interesting currents. The parties are amazing too with a great Maine traditional lobster bake and live musical entertainment. Race the J/24 in Maine!